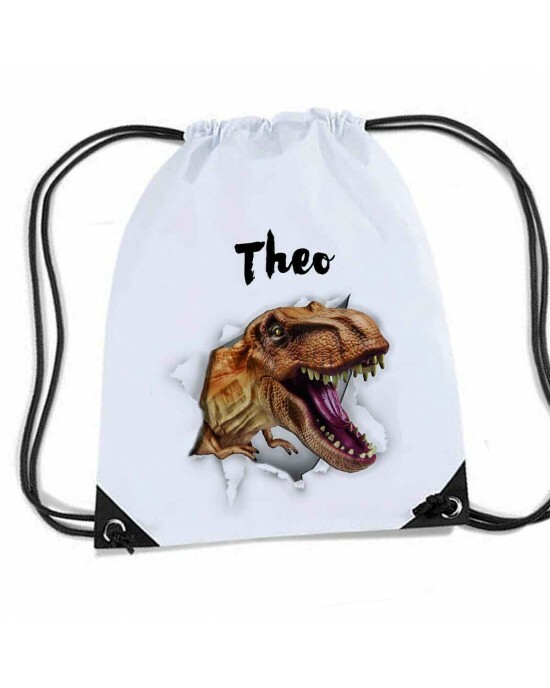 Dinosaur T Rex Ripping Through the bag, Personalised Sports Nylon Draw String Gym Sack Pack & Rope Bag. A quality white gym bag with a design effect of a T Rex Dinosaur ripping through the bag, Premium Rucksack gym sack. The product shown in the picture above will be the product you will receive, with the variations you chose at the time of ordering. Cute Funny Red Dinosaur Personalised Sports Nylon Draw String Gym Sack Pack & Rope Bag.